Lepley Recruiting Consultants provides an essential service to those looking for a new career and the companies hiring them. They offer keen insights, consistent recruiting, and superior professional network. By merging these assets with a growing global need for companies and consulting firms to advance their human capital talent, Lepley makes the process of finding the right position easy and painless. In a business such as recruiting, first impressions carry a lot of weight. That’s precisely why Lepley decided it was time to redesign their look, beginning with their logo. They wanted something warmer than their previous look, which would them establish their brand as bold, professional, and warm. As a company whose focus is connecting others, they needed this feeling to carry through in their logo, whether they were using it on their website, their letterhead, or their conference signage. In the end, both the client and our designers agreed that there was a clear winner. We felt that this logo did a great job of creating a sense of joy, energy, and connectivity, especially through the use of circles and swirls crossing into one another. From a color perspective, the orange denotes a cheerful energy, while also being corporate and gender neutral. Combined with the blue, it gives the impression of a sunset, which we felt was the perfect tribute to a coastal vibe – subtle, yet clear. 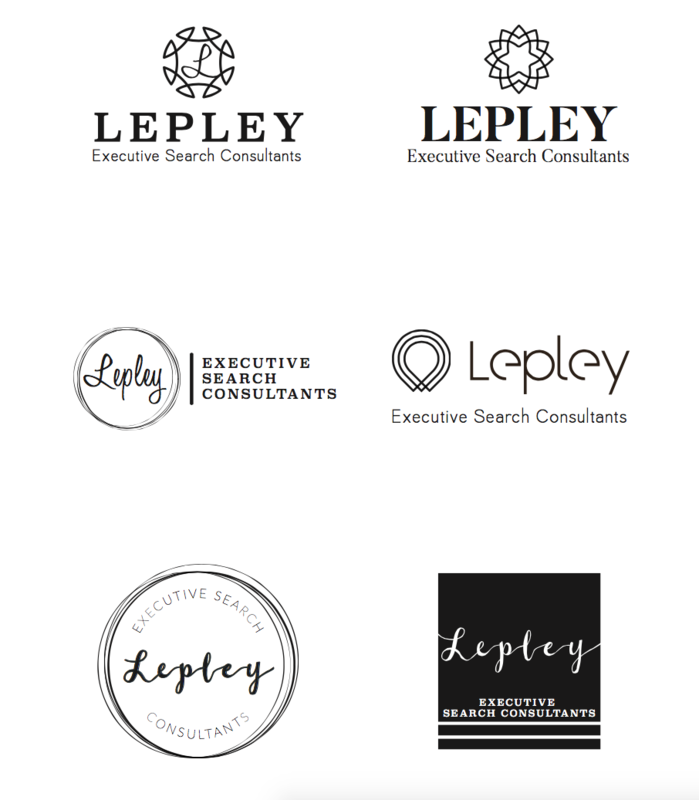 We were so happy to work with Lepley Recruiting Consultants on their new logo, and are excited to see where it takes them. If your business needs a new look in 2017, check out some of our other recent brand identity projects for inspiration. If you’re ready to find your own winner, contact Sage Island to start the process of turning your vision into a reality.